Larson-Praplan, S.; George, M.R. ; Buckhouse, J. C.; Laca, E.A. (2015). "Spatial and temporal domains of scale of grazing cattle." Animal Production Science 55: 284-297. Larson, S.; Barry, S.; Ford, L.; Bush, L. (2015). "Understanding Working Rangelands: Bay Area Ranching Heritage: A Continuing Legacy." ANR Publication(8528): 5. Larson, S.; Barry, S.; Sweet, D. (2015). "Understanding Working Rangelands: Caring for Cattle and Sheep to Provide Safe and Wholesome Meat." ANR Publication(8530): 9. Larson, S.; Barry, S.; Bush, L. (2015). "Understanding Working Rangelands: Cattle, Sheep, Goats, and Horses: What's the Difference for Working Rangelands." ANR Publication(8524): 7. Larson, S.; Barry, S.; Bush, L. (2015). "Understanding Working Rangelands: Cows Need Water, Too: Water Sources, Wetlands, and Riparian Areas." ANR Publication(8525): 5. Larson, S.; Barry, S.; Ford, L.; Bush, L. (2015). "Understanding Working Rangelands: Grazing Systems Management." ANR Publication(8529): 6. Larson, S.; Barry, S.; Bush, L. (2015). "Understanding Working Rangelands: Sharing Open Space: What to Expect from Grazing Livestock." ANR Publication(8528): 5. Larson, S.; Barry, S.; Ford, L.; Bush, L. (2015). "Understanding Working Rangelands: The Benefits of Livestock Grazing California's Annual Grasslands." ANR Publication(8517): 7. Melvin, G.; Larson-Praplan, S.; Doran, M.; Tate, K. (2013). "Grazing Nassella: Maintaining Purple Needlegrass in a Sea of Aggressive Annuals." Rangelands 35(2): 1-5. George, M.; Larson-Praplan, S.; Harper, J.; Lewis, D.; Lennox, M. (2011). "Californiaâs Rangeland Water Quality Management Plan: An Update. Rangelands." 33(1): 20-24. Daley, C.; Abbott, A.; Doyle, P.; Nader, G.; Larson, S. (2010). "A review of fatty acid profiles and antioxidant content in grass-fed and grain-fed beef." Nutrition Journal 9: 10. Davy, J.; Forero, L.; Ingram, R.; Nader, G.; Harper, J.; George, H.; Doran, M.; Barry, S.; Larson, S.; Stanley, M.; Klonsky, K.; Livingston, P. (2010). Goat for Meat Production. UC Davis Cost Study. UCCE. GT-NC-10. George, H.; Barry, S.; Larson, S.; McDougald, N.; Ward, T.; Harper, J.; Dudley, D.; Ingram, R. (2006). "Comparison of Comparative Yield and Stubble Height for Estimating Herbage Standing Crop in Annual Rangelands." Journal of Rangeland Ecology and Management 59: 438-441. Larson, S.; Smith, K.; Lewis, D.; Harper, J.; George, H. (2005). "Evaluation of Californiaâs Rangeland Water Quality Education Program." Journal of Rangeland Ecology & Management 58(5): 514-522. Larson, S.; Thompson, C.; Klonsky, K.; Livingston, P. (2004). Cow-calf/Grass fed beef operation cost study. UCCE Davis. BF-NC-04. Lennox, M.; Lewis, D.; Jackson, R.; Harper, J.; Katz, R.; Larson, S.; Allen-Diaz, B.; Tate, K. (2004). Riparian Revegetation Evaluation in North Coastal California. AWRAâs 2004 Summer Specialty Conference âRiparian Ecosystems and Buffers: Multi-Scale Structure, Function, and Management", Middleburg, Virginia, American Water Resources Association. George, M.; Harper, J.; Larson, S.; Weitkamp, B.; George, H.; Jolly, L. (1998). Implementing Californiaâs Rangeland Water Quality Management Plan: Ranch Water Quality Management Planning Short Courses for rangeland owners. AWRA Specialty Conference, Rangeland Mgmt and Water Resources.D. Potts. Herndon, VA, American Water Resources Association. TPS-98-1, 299. Glimp, H.; Havercamp, M.; Larson, S. (1998). "The Role of Animal Science in Natural Resource Management: Current Decision Making Models and Future Needs." Journal of Animal Science 76: 948-953. Doran, M.; Larson, S.; Pieterosemoli, S.; Barry, S. (2015). Rangeland and Pasture Management for Outdoor Hog Production. October. Brownsey, P.; Barry, S.; Becchetti, T.; Davy, J.; Doran, M.; Forero, L.; Harper, J.; Larsen, R.; Larson-Praplan, S.; Laca, E. (2015). Using Multi-State Modeling to Describe Optimal Treatment Windows for Medusahead and Barbed Goatgrass. Sacramento, CA. February. Larson, S.; Barry, S.; Becchetti, T.; Doran, M.; Forero, L.; George, H.; George, M.; Giovannini, K.; Ingram, R.; Eviner, V. (2013). Develop and Document Opportunities for Ecosystem Services on Californi Rangelands. A Community on Ecosystem Services (ACES). December 2013. Becchetti, T.; Barry, S.; Larson, S. (2013). Ecosystem Payments - Considering Lost Opportunities. 8th Annual Rangeland Summit. Davis, CA. January 2013. Becchetti, T.; Barry, S.; Larson, S. (2013). Ecosystem Payments - Considering Lost Opportunities. Ontario, CA. April 2013. Larson, S.; Barry, S.; Becchetti, T.; Doran, M.; Forero, L.; George, H.; George, M.; Ingram, R.; Eviner, V. (2012). Best Management Practices on Rangelands to Influence Ecosystem Services. Society for Range Management Annual Meeting Abstracts, Spokane WA. Becchetti, T.; Barry, S.; Larson, S. (2012). Ecosystem Payments - Considering Lost Opportunities. Society of Range Management Annual Meeting. Oklahoma City, OK. February 2013. Becchetti, T.; Barry, S.; Larson, S. (2012). Ecosystem Payments - Considering Lost Opportunities. ACES and Ecosystem Markets, 2012. Ft Lauderdale, FL. December 2012. Becchetti, T.; Barry, S.; Larson, S. (2012). Ecosystem Payments - Considering Lost Opportunities. Grazing Lands Conservation Initiative. 2012. Orlando, FL. December 2012. Larson, S.; Barry, S.; King, W.; Lennox, M. (2011). Comparing the Impacts of Water Quality Regulations on Land Use in Two Watersheds: Lake Taupo (NZ) and Tomales Bay, CA (USA). Society for Range Management, Billings, MT, University of California (USA) and AgResearch (New Zealand). Larson, S.; Becchetti, T.; Forero, L. (2010). Goal Driven Leases as an Ecosystem Service. Society of Range Management, Denver, CO.
Becchetti, T.; Schriefer, C.; Zhang, J.; Cherr, C.; Harper, J.; Doran, M.; Larson, S.; Barry, S.; Larsen, R.; Forero, L.; Laca, E. (2008). Controlling Medusahead â Identifying the Period of Susceptibility. SRM & AFGC 2008 Joint Annual Meeting - Building Bridges: Grasslands to Rangelands, Louisville, KY.
Larson, S.; Harper, J.; Becchetti, T.; Doran, M.; Barry, S.; Davy, J.; Cherr, C.; Schriefer, C.; Zhang, J.; Laca, E. (2008). Grazing Strategies to Control Medusahead on California Rangelands. SRM & AFGC 2008 Joint Annual Meeting - Building Bridges: Grasslands to Rangelands, Louisville, KY.
Lennox, M.; Lewis, D.; Tate, K.; Harper, J.; Larson, S.; Jackson, R. (2007). Final Report Riparian Revegetation Evaluation on North Coast Ranches. UCCE Sonoma County. June. Larson, S.; Harper, J.; George, M. (2007). Improving Water Quality through Compliance with Regulatory Nonpoint Source Pollution (NPS) Conditional Waivers on Grazing Lands â What is Extensionâs Role? USDA-CSREES Water Conference, Savanna, GA.
Doran, M.; Harper, J.; Ingram, R.; Larson, S. (2007). Vines & Ovines Research. 4. Lennox, M.; Lewis, D.; Stokes, D.; Jackson, R.; Harper, J.; Allen-Diaz, B.; Larson, S.; Tate, K. (2006). Quantifying Outcomes at Riparian Restoration Project Sites on Coastal Ranches. Salmonid Restoration Federationâs 24th Salmonid Restoration Conference, Santa Barbara, CA. Lennox, M.; Lewis, D.; Stokes, D.; Jackson, R.; Harper, J.; Allen-Diaz, B.; Larson, S.; Northen, P.; Katz, R.; Tate, K. (2006). Riparian Revegetation Outcomes on California North Coast Ranches. California Invasive Plant Council 15th Annual Symposium: Research and Management Bridging the Gap, Rohnert Park, CA. Lennox, M.; Lewis, D.; Tate, K.; Jackson, R.; Larson, S.; Harper, J.; Katz, R. (2006). Riparian Revegetation Outcomes on California North Coast Ranches. Sixth California Oak Symposium: Todayâs Challenges, Tomorrowâs Opportunities, University of California Integrated Hardwood Range Management Program. Lennox, M.; Lewis, D.; Larson, S.; Harper, J.; Katz, R.; Jackson, R.; Allen-Diaz, B.; Tate, K.; Stokes, D. (2006). Riparian Trajectory and Revegetation Effectiveness in North Coastal California. Salmonid Restoration Federationâs 24th Salmonid Restoration Conference, Fortuna, CA. Harper, J.; Larson, S.; Doran, M.; Lennox, M.; Alonso, M.; Thompson, C.; George, M. (2006). State and Transition Models for Californiaâs North Coast Oak Woodlands. Society for Range Management 59th Annual Range Meeting and Trade Show: Rangelands to Rainforests CD. Harper, J.; Larson, S.; Doran, M.; Lennox, M.; Alonso, M.; Thompson, C.; George, M. (2006). State and Transition Models for Californiaâs North Coast Oak Woodlands. Sixth California Oak Symposium: Todayâs Challenges, Tomorrowâs Opportunities, University of California Integrated Hardwood Range Management Program. Harper, J.; Larson, S.; Doran, M.; Lennox, M.; Alonso, M.; Thompson, C.; George, M. (2006). State and Transition Models for Californiaâs North Coast Oak Woodlands. Society for Range Management 59th Annual Range Meeting and Trade Show: Rangelands to Rainforests Compact Disc. Gwin, L.; Larson, S.; Rilla, E.; Bush, L. (2005). Alternative Livestock Production and Marketing: A survey of Marin and Sonoma Livestock Producers. UCCE Marin County. Larson, S.; Harper, J.; George, M.; Lewis, D.; Tate, K. (2005). Improving water quality through regulatory compliance on grazing waivers. What is Extensionâs Role? California Native Grasslands Association and Cal-Pac SRM spring meeting, Davis, CA, UCCE. Larson, S.; Smith, K.; George, M.; George, H.; Lewis, D.; Harper, J. (2005). Results of a Statewide Survey of Californiaâs Ranch Water Quality Planning Short Course. Abstracts, Society for Range Management, Fort Worth, TX. Larson, S.; Smith, K.; George, M.; George, H.; Lewis, D.; Harper, J. (2004). Ranch Water Quality Planning Short Course Californiaâs State Wide Survey. 2nd National Conference on Grazing Lands, Nashville, TN. Larson, S.; Smith, K.; George, H.; George, M.; Lewis, D.; Harper, J. (2004). Ranch Water Quality Planning Short Course Californiaâs State Wide Survey. 2nd National Conference on Grazing Lands. Nashville, TN. Larson, S.; Lewis, D.; Harper, J.; Smith, K.; George, M. (2004). Results of a Statewide Survey of Californiaâs Ranch Water Quality Planning Short Course. Second National Conference on Grazing Lands Compact Disc. Katz, R.; Lennox, M.; Lewis, D.; Jackson, R.; Harper, J.; Allen-Diaz, B.; Larson, S.; Tate, K. (2004). Riparian Flora Observed at Riparian Revegetation Projects in North Coastal California. 22nd Annual Salmonid Restoration Conference & 14th International Salmonid Habitat Enhancement Workshop Conference Proceedings, Davis, CA, Salmonid Restoration Federation. Katz, R.; Lennox, M.; Lewis, D.; Jackson, R.; Harper, J.; Allen-Diaz, B.; Larson, S.; Tate, K. (2004). Riparian Flora Observed at Riparian Revegetation Projects in North Coastal California. Redwood Region Forest Science Symposium, Rohnert Park, CA, University of California Center for Forestry, Division of Agriculture and Natural Resources, and College of Natural Resources, Berkeley Campus. Larson, S.; Smith, K.; George, M.; George, H.; Lewis, D.; Harper, J. (2003). Results of a Statewide Survey of Californiaâs Ranch Water Quality Planning Short Course. Society for Range Management 56th Annual Meeting Abstracts CD, Wyoming. George, M.; Harper, J.; Larson, S.; Jolly, L. (2002). Californiaâs Ranch Water Quality Short Course. Society for Range Management 55th Annual Meeting, Kansas City, MO. Harper, J.; Ruddell, A.; Larson, S.; Markegard, G. (2002). Cattle College: Bringing the Yellow Book to Life on the Coast â A Multi-State Collaboration. Western Section, American Society of Animal Science. Ward, T.; Tate, K.; Atwill, E.; Lile, D.; Lancaster, D.; McDougald, N.; Barry, S.; Ingram, R.; George, H.; Jensen, W.; Frost, W.; Larsen, R.; Harper, J.; Horney, M.; Markegard, G.; Larson, S.; Phillips, R.; Delmas, R.; Farley, J.; Forero, L. (2002). Grazing Californiaâs Annual Grassland Riparian Areas- Newest Research and Future Questions. Annual Grassland Short Course. Davis, CA. December 10-12. Larson, S.; Smith, K.; George, M.; George, H.; Lewis, D.; Harper, J. (2002). Results of ranch water quality planning short course conducted through Californiaâs state wide survey. Society for Range Management 56th Annual Meeting, Casper, WY. Lennox, M.; Lewis, D.; Jackson, R.; Battaglia, C.; Tate, K.; Allen-Diaz, B.; Larson, S.; Harper, J. (2002). University of California Riparian Revegetation Evaluation. SER's 14th Annual International Conference, Tucson, Arizona. Larson, S.; Ghirardelli, D.; Lewis, D.; Tate, K. (2000). Assessing Riparian Areas with On-Site Evaluations. Abstracts, Society for Range Management. 53. February. George, M.; Harper, J.; Larson, S.; Jolly, L. (2000). Ranch Water Quality Planning: A Short Course for Rangeland Owners. 2nd National Extension Natural Resources Conference, South Lake Tahoe, NV. Harper, J.; George, M.; Larson, S.; Weitkamp, B.; Jolly, L. (1999). Education and Planning: An Effective BMP for Private Landowners. 7th National Nonpoint Source Monitoring Workshop, Morro Bay, CA, USEPA, Morro Bay National Estuary Program, Central Coast WQCB, and Cal Poly San Luis Obispo. George, M.; Harper, J.; Larson, S. (1999). Ranch Water Quality Planning and Implementation on Californiaâs North Coast. 7th National Nonpoint Source Monitoring Workshop, Morro Bay, CA, USEPA, Morro Bay National Estuary Program, Central Coast WQCB, and Cal Poly San Luis Obispo. Harper, J.; Larson, S.; Myers, C.; VanVliet, M.; Salmon, T.; Poe, M. (1995). 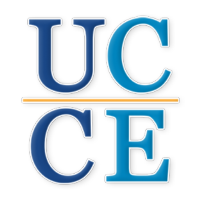 Advanced Eudora â A University of California CEâLink Satellite Program. DANR Communication Services. October 2, 1995. Harper, J.; Larson, S.; Myers, C.; VanVliet, M.; Salmon, T.; Poe, M. (1995). Beginning Eudora â A University of California CEâLink Satellite Program. DANR Communication Services. September 11, 1995. Larson, S.; Glenn, J.; Nelson, A.; Phillips, R. (1986). Sheep Care Guidelines. Workgroup Series. UCCE.